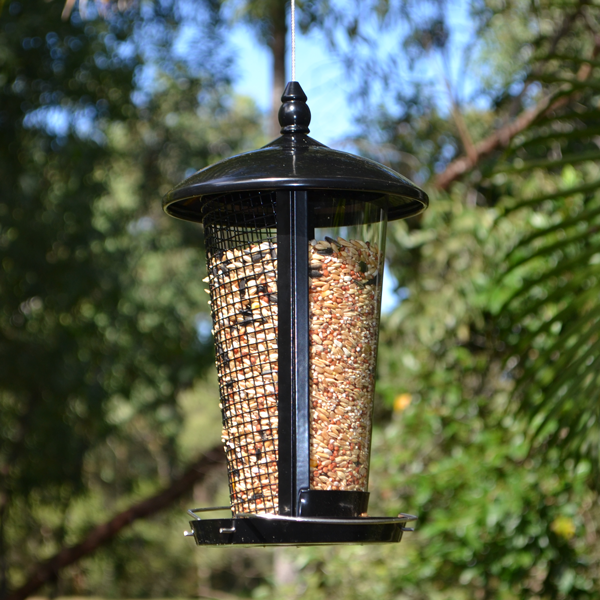 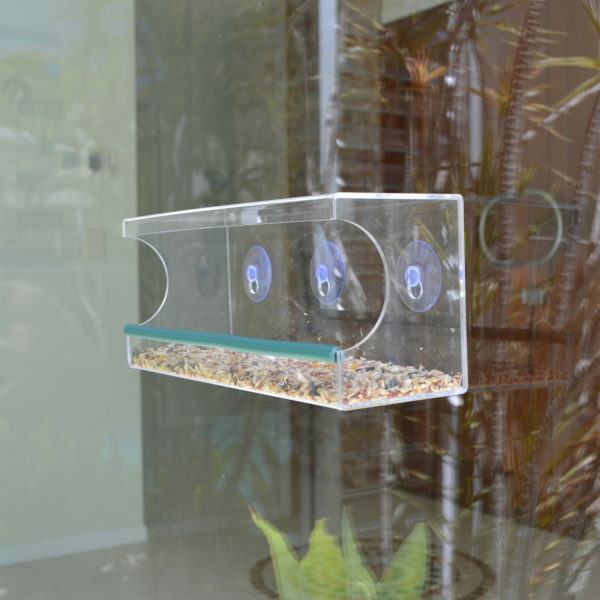 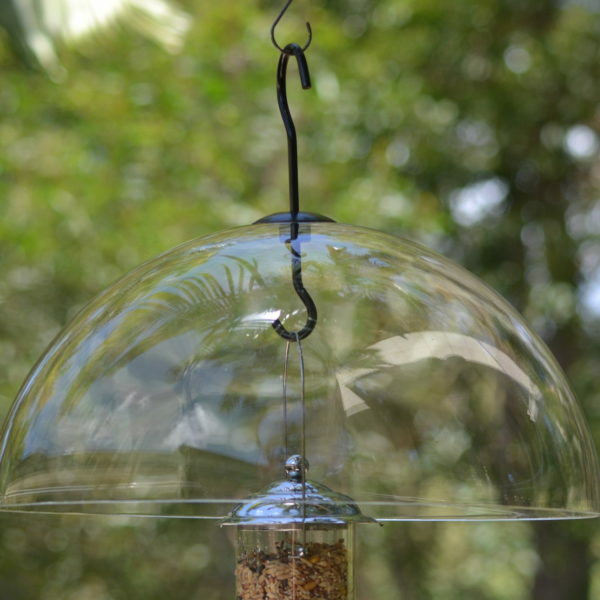 See your backyard birds up close with our Buffet Window Feeder. 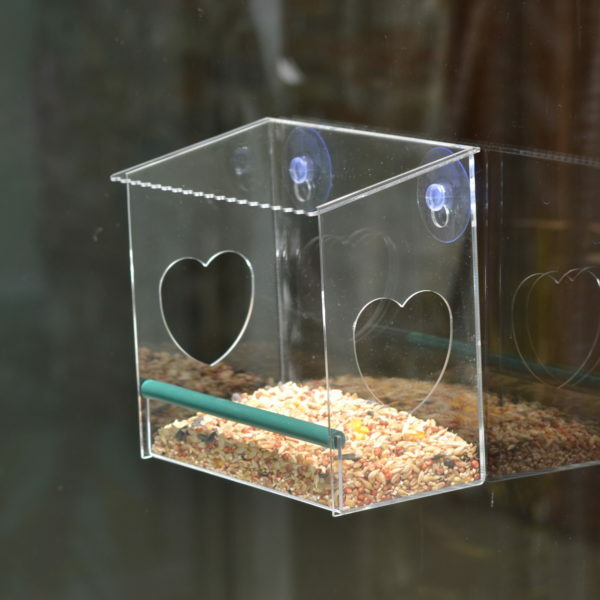 This window feeder provides a feeding funnel which dispenses more seeds or nuts into the bottom tray as your birds eat. 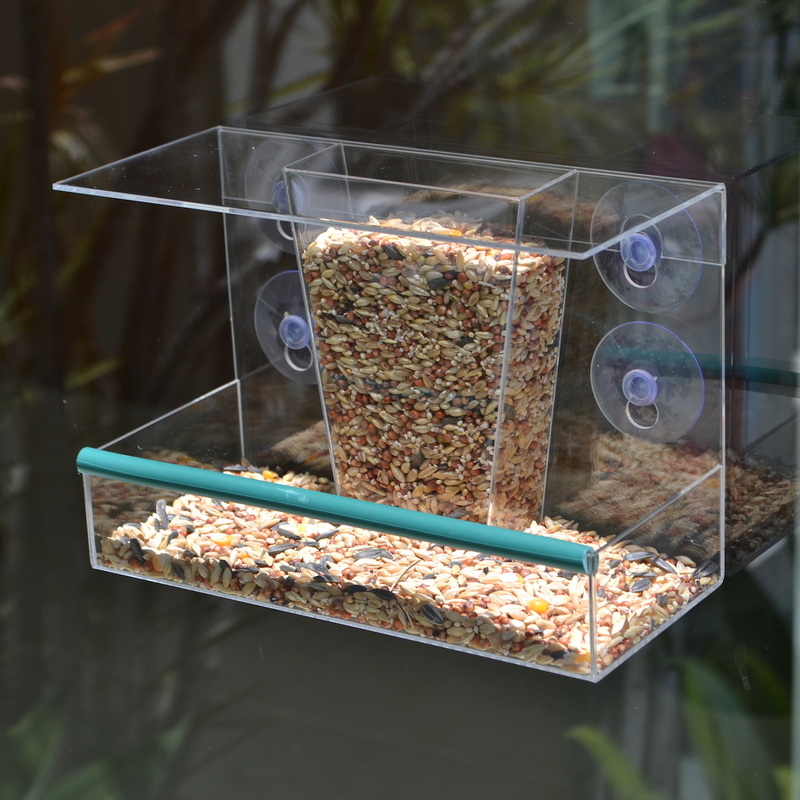 The feeder can support small to medium sized birds and comes with a removable roof and drainage holes in the base. 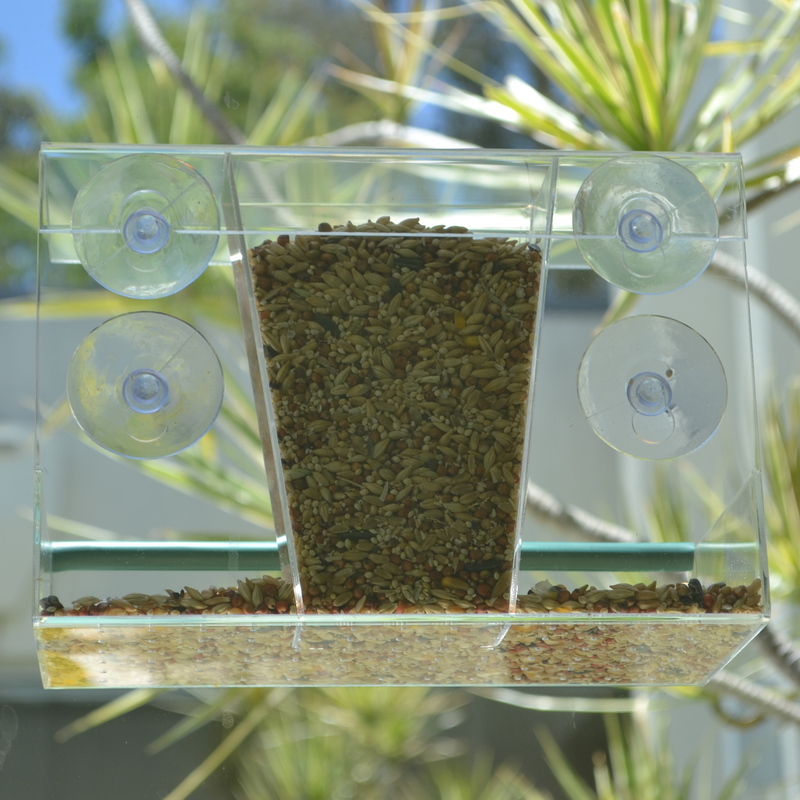 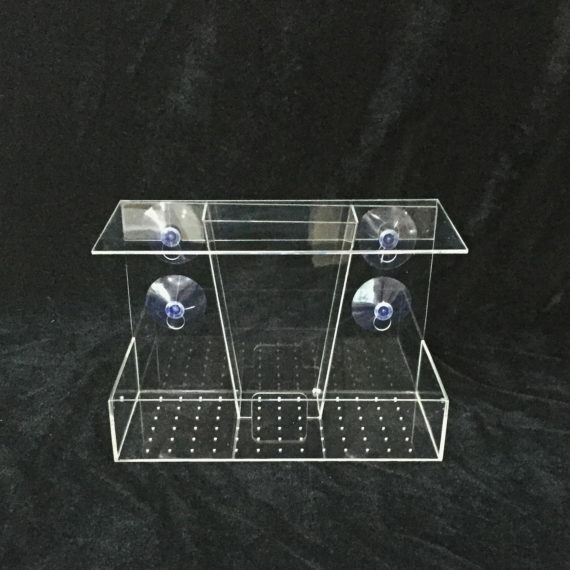 The feeder measures 22cm x 10cm x 15cm and includes 4 strong suction cups. Quick delivery, great communication, good product.